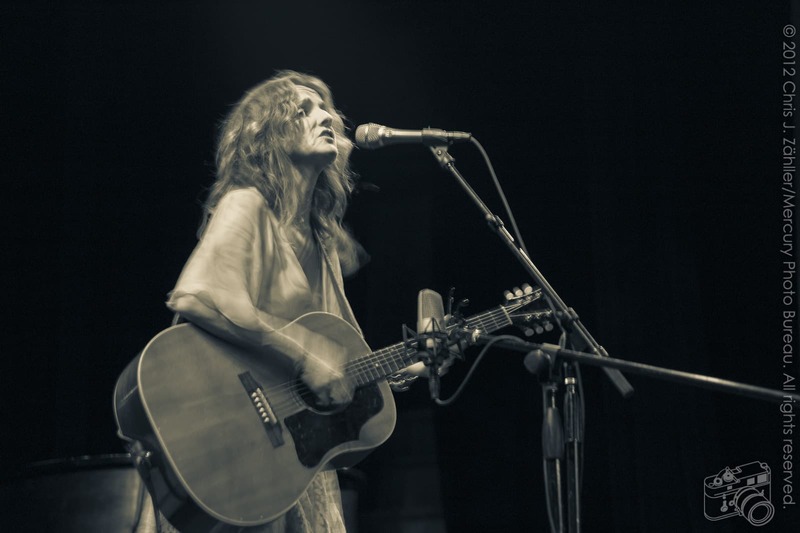 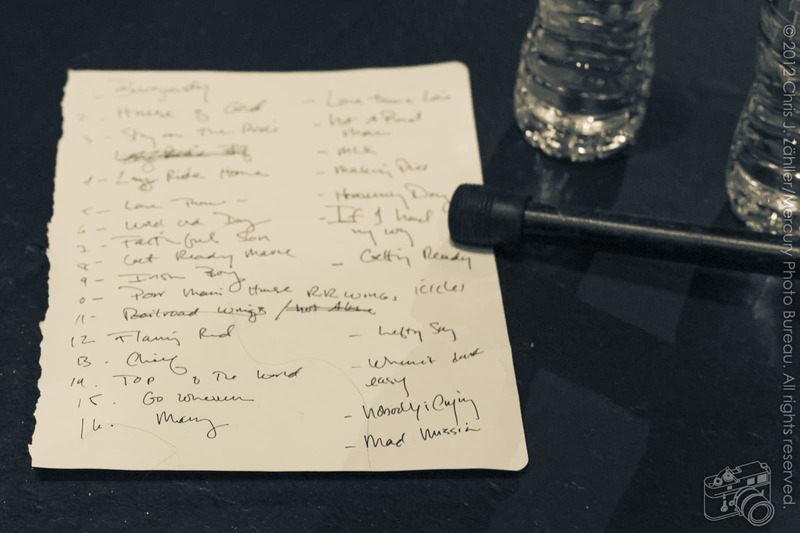 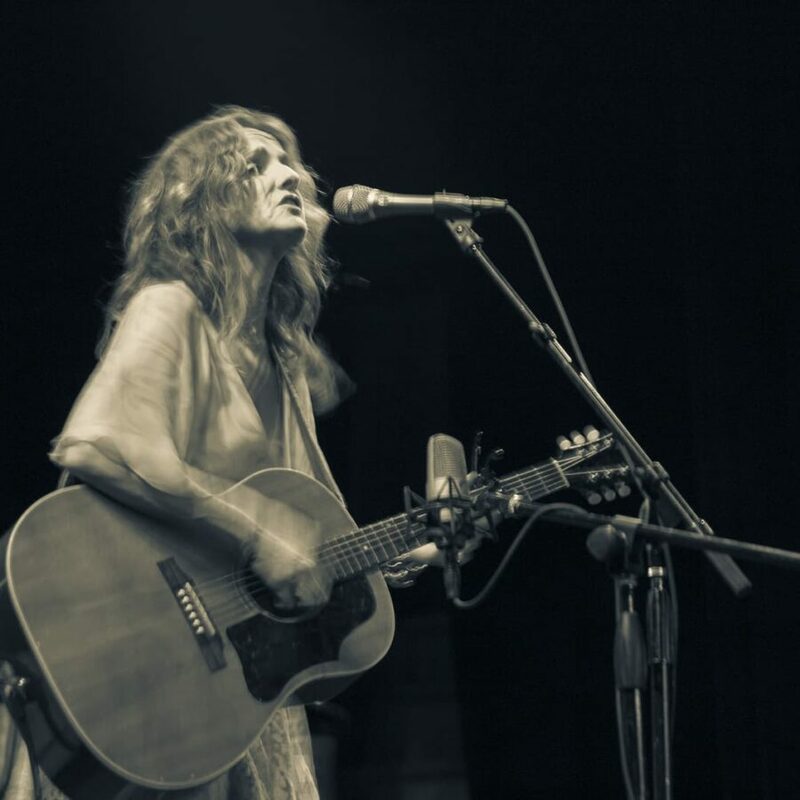 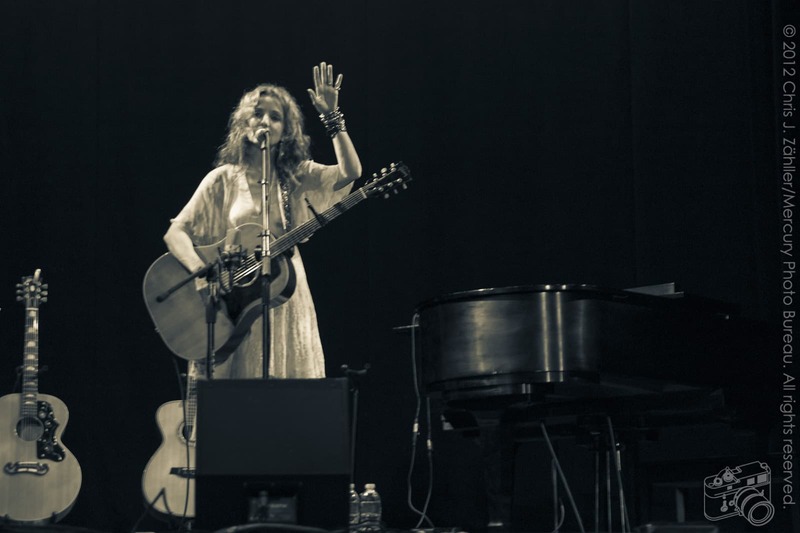 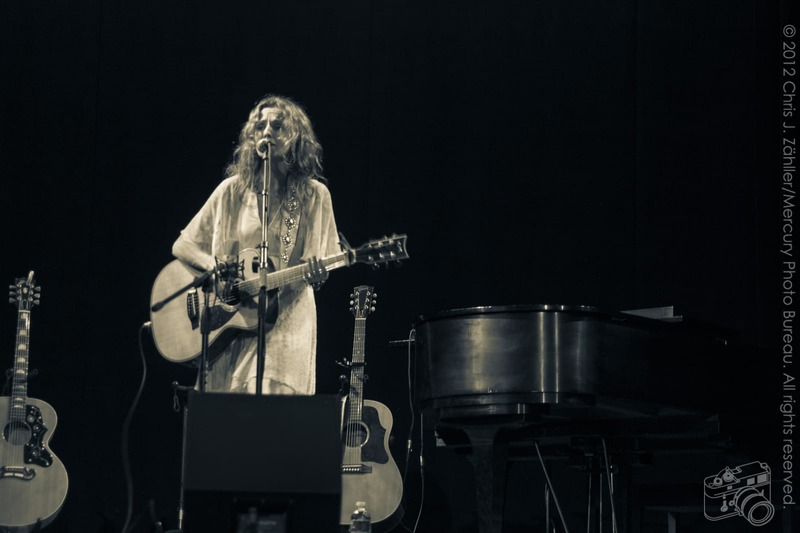 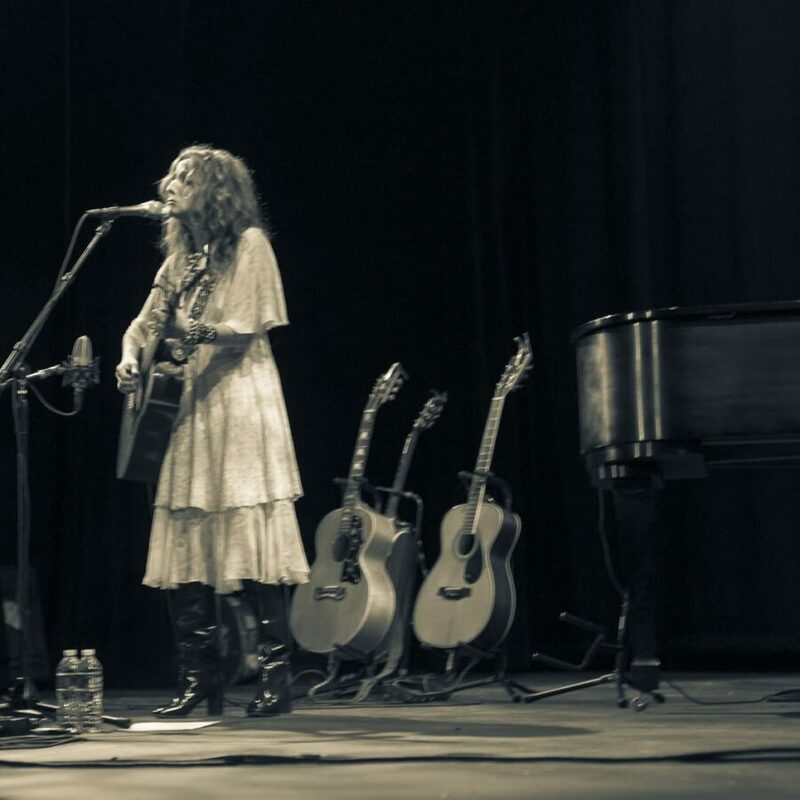 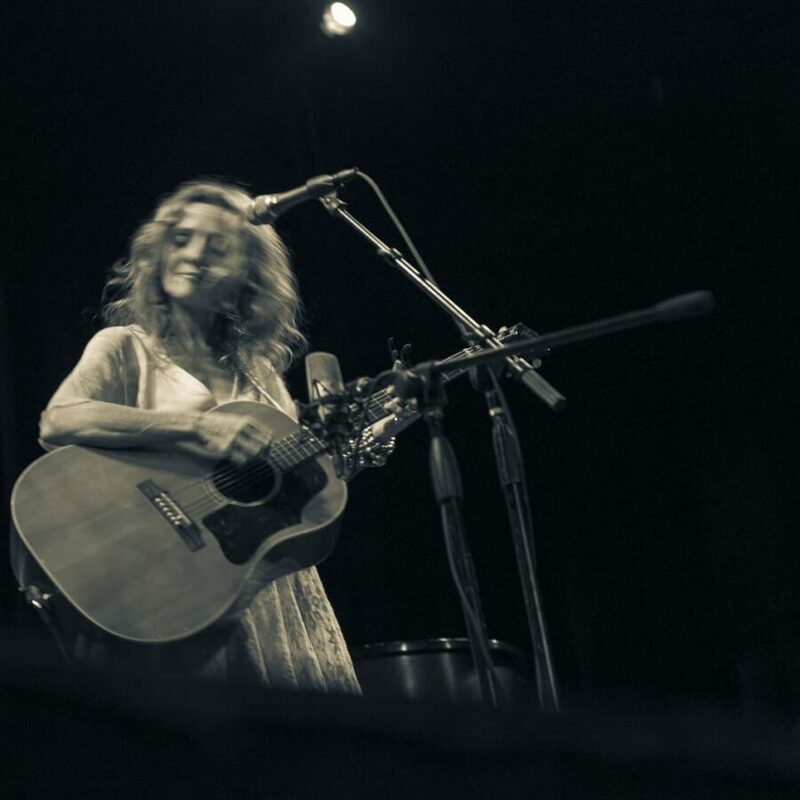 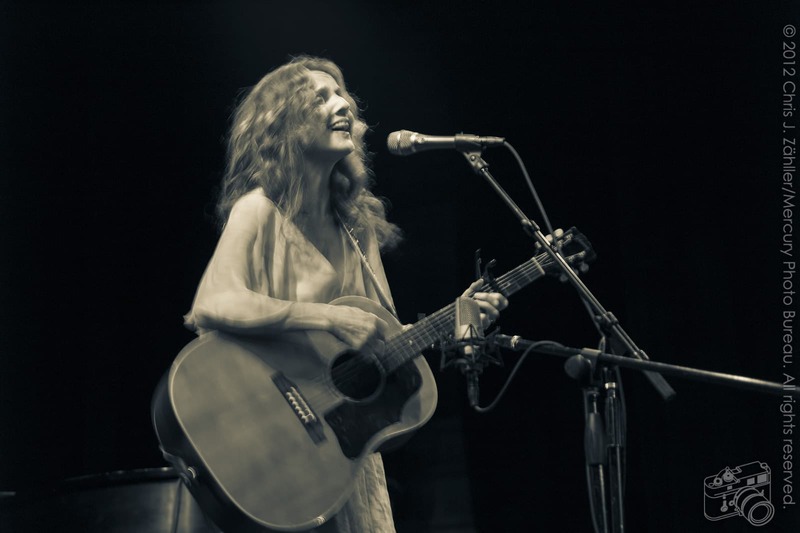 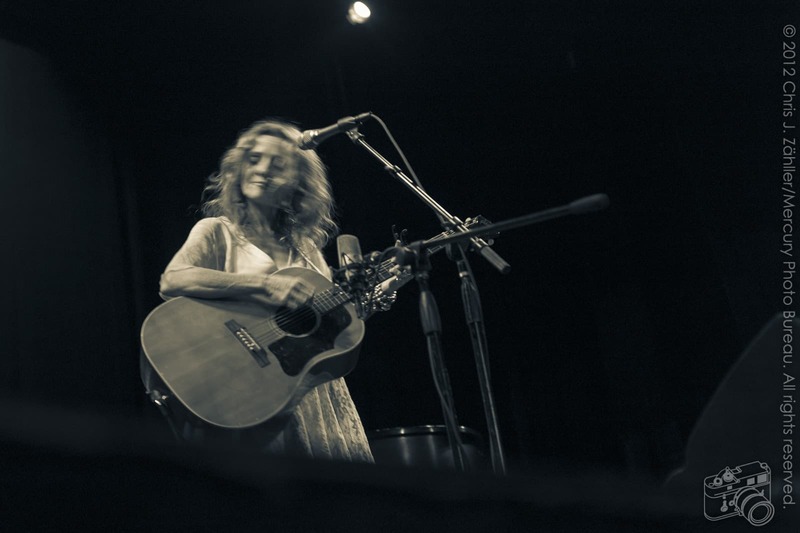 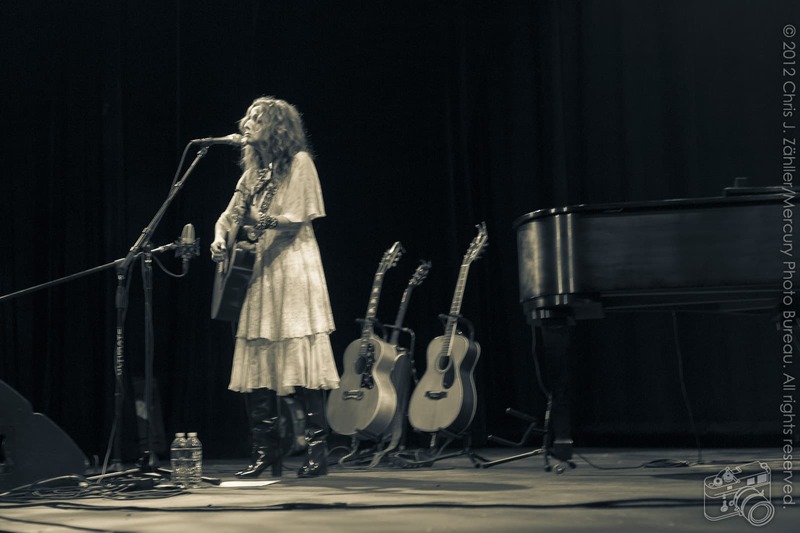 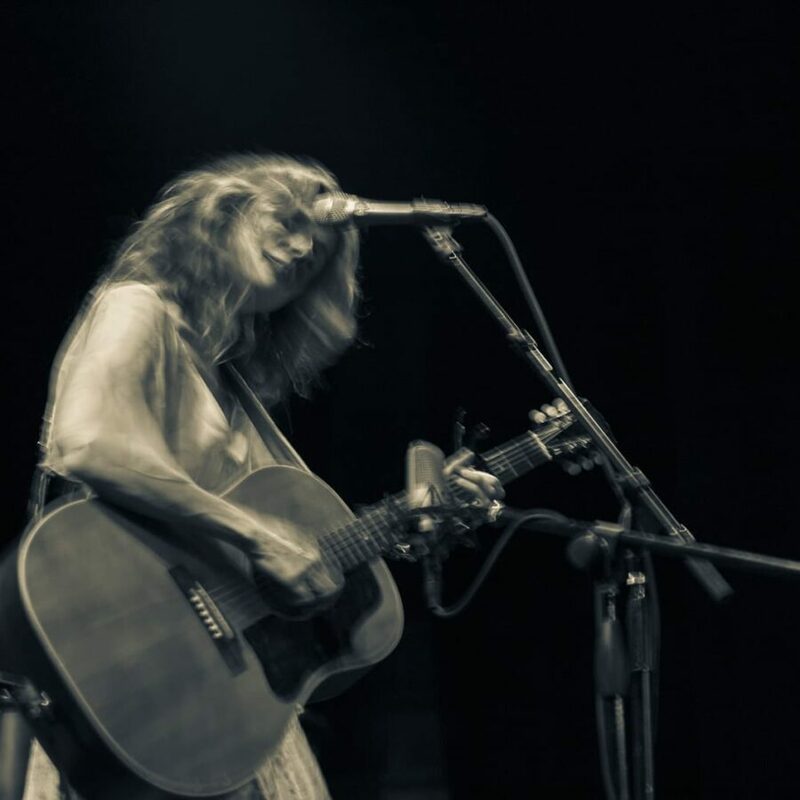 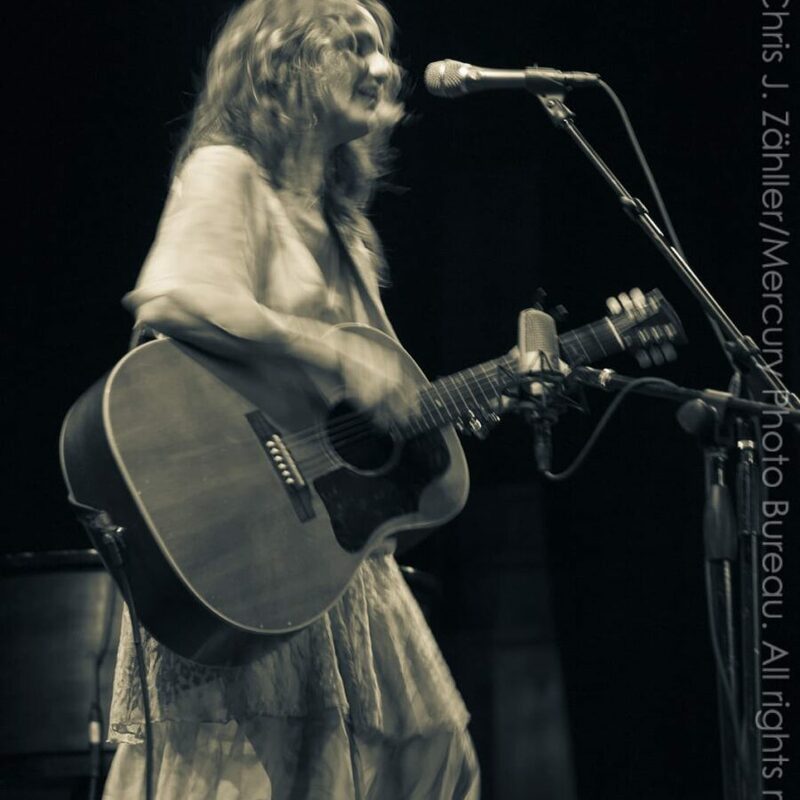 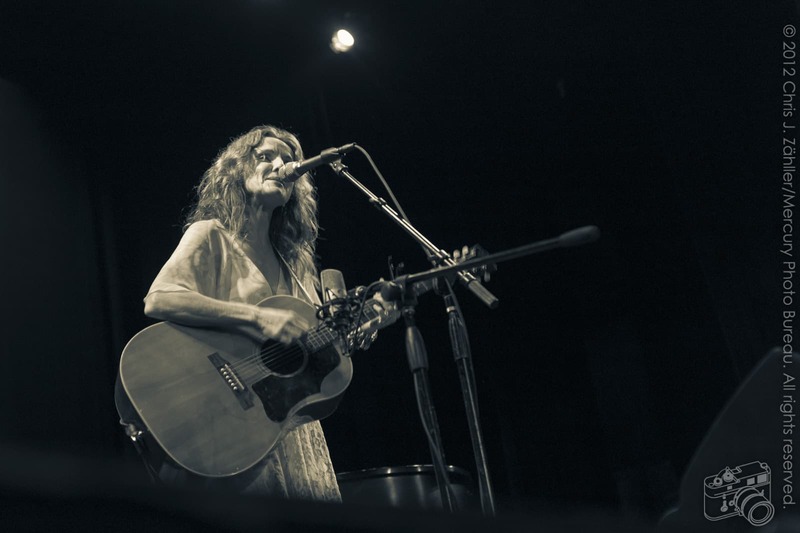 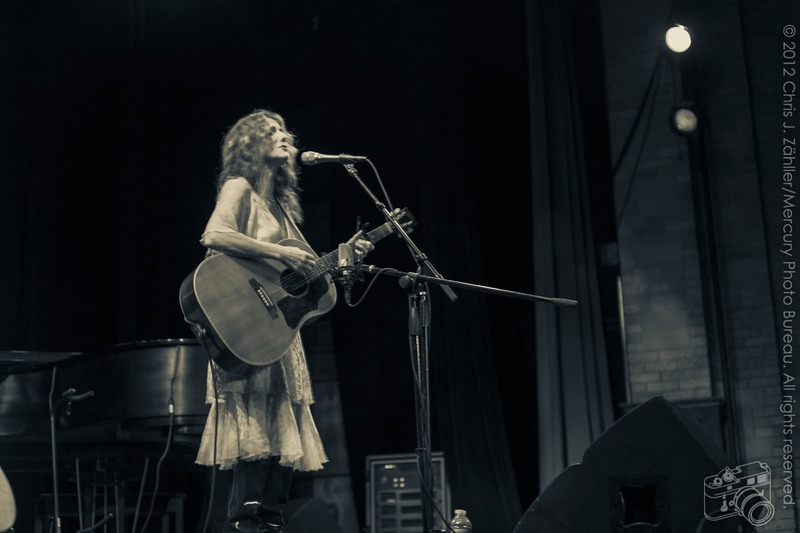 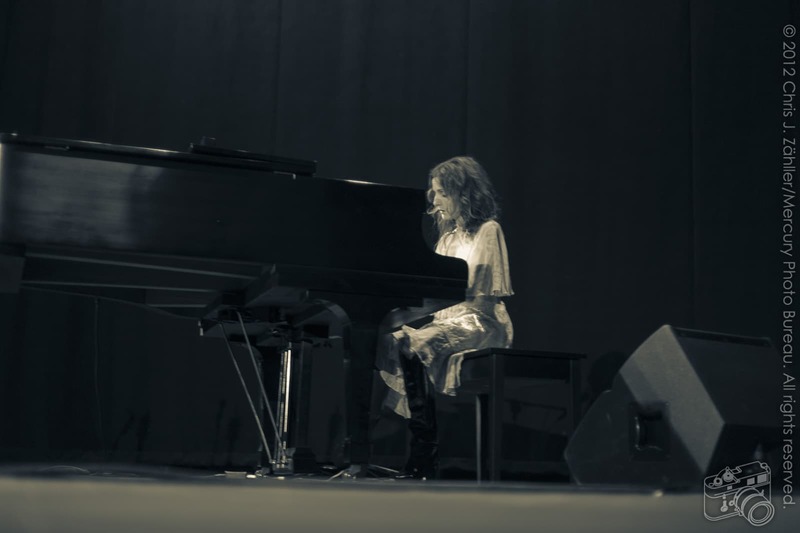 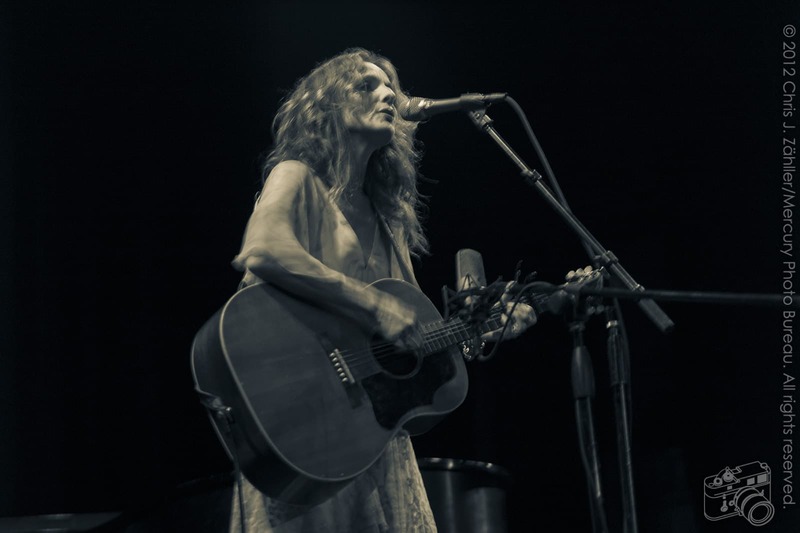 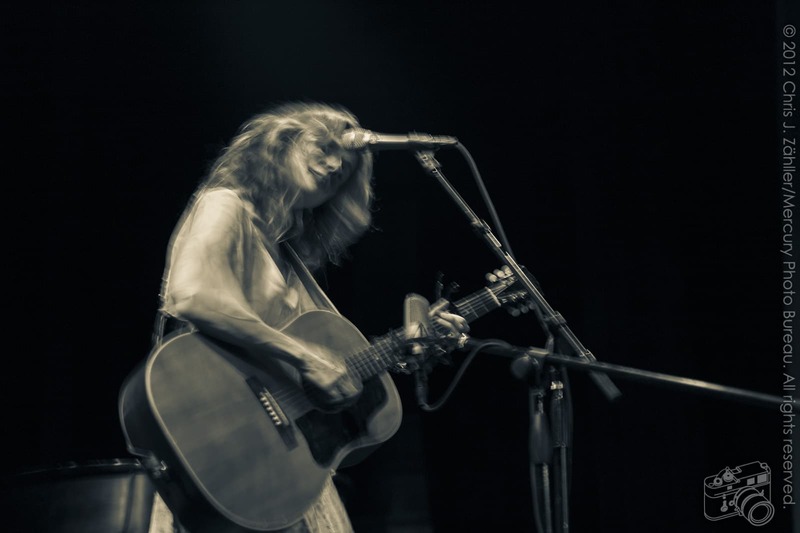 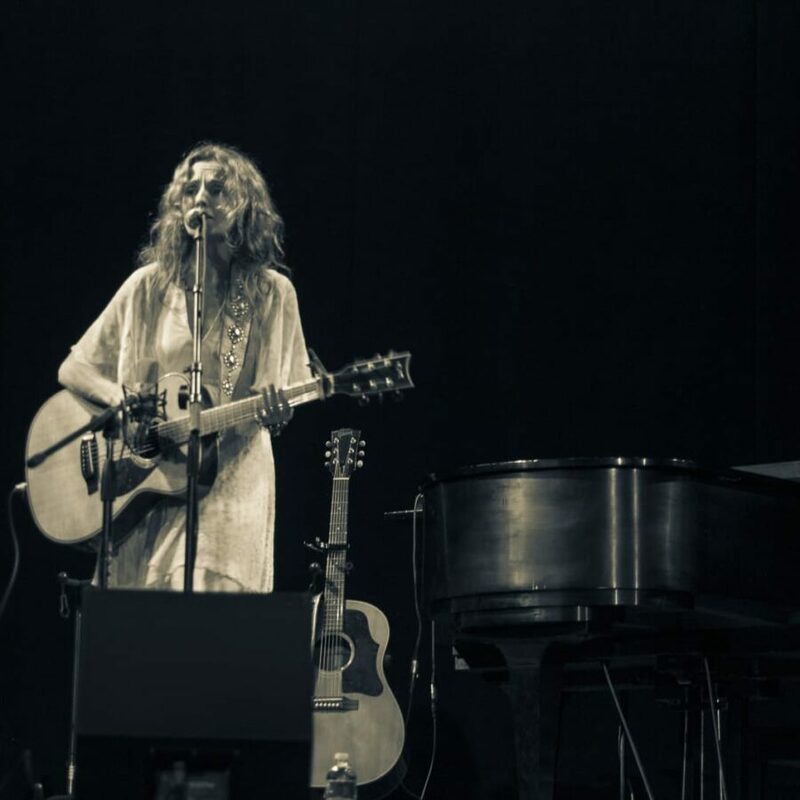 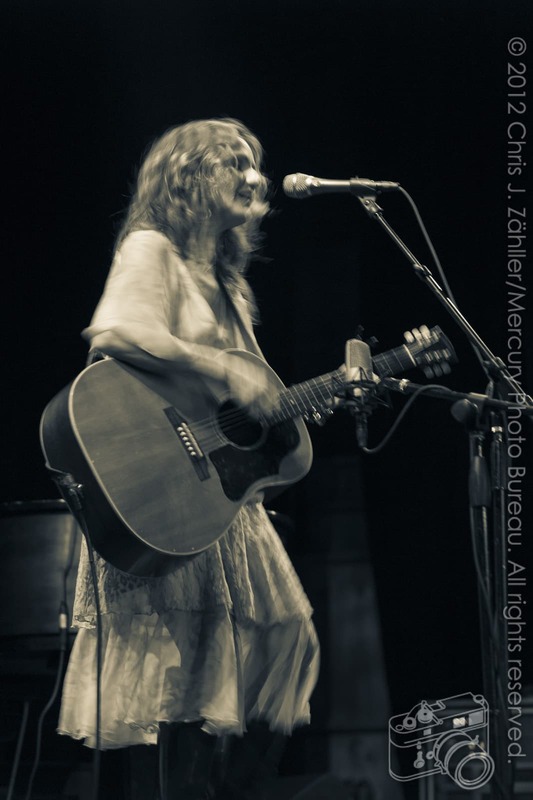 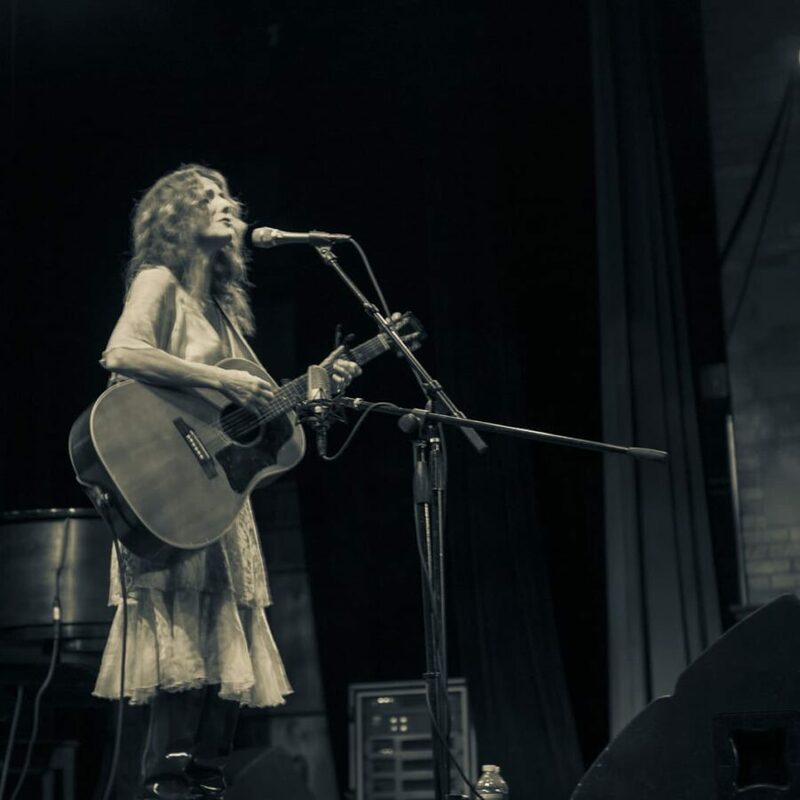 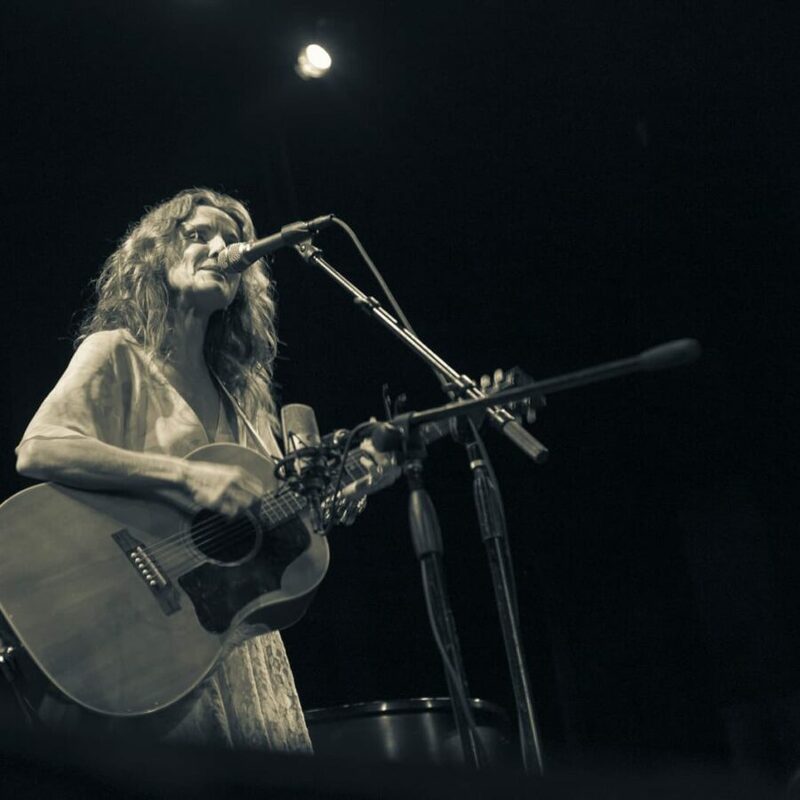 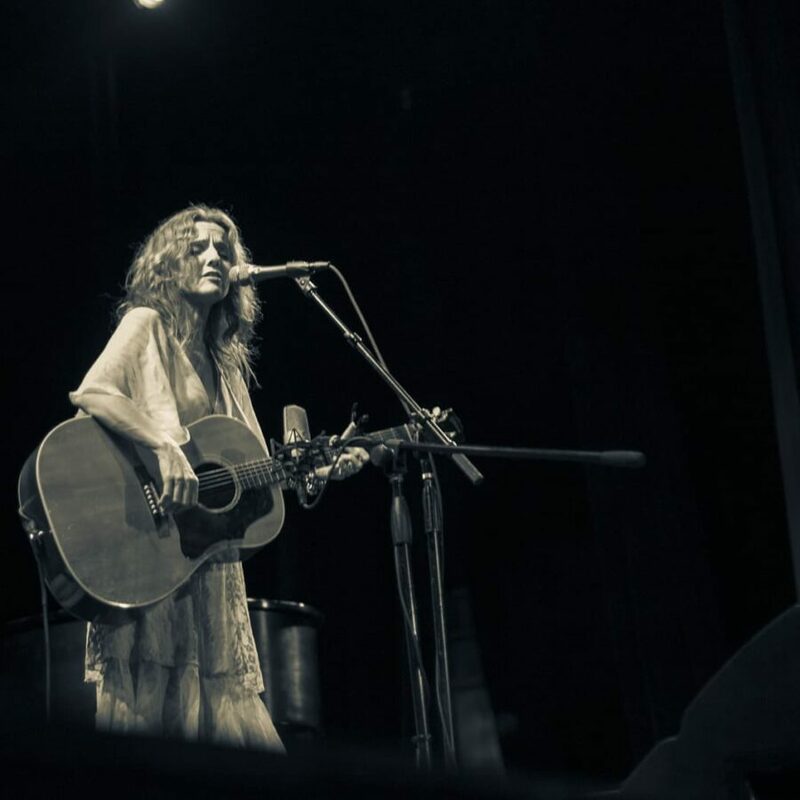 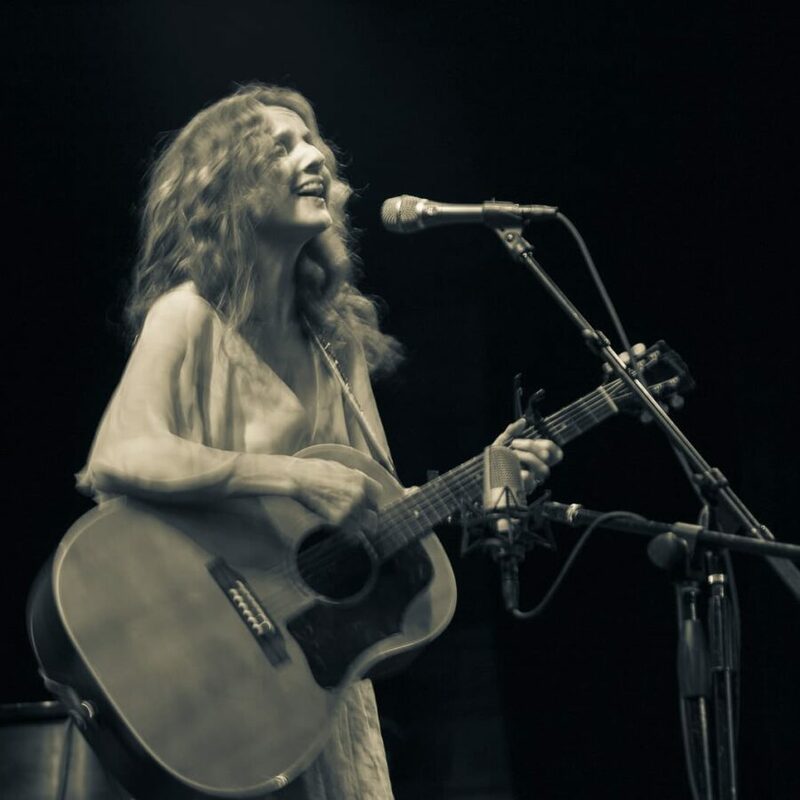 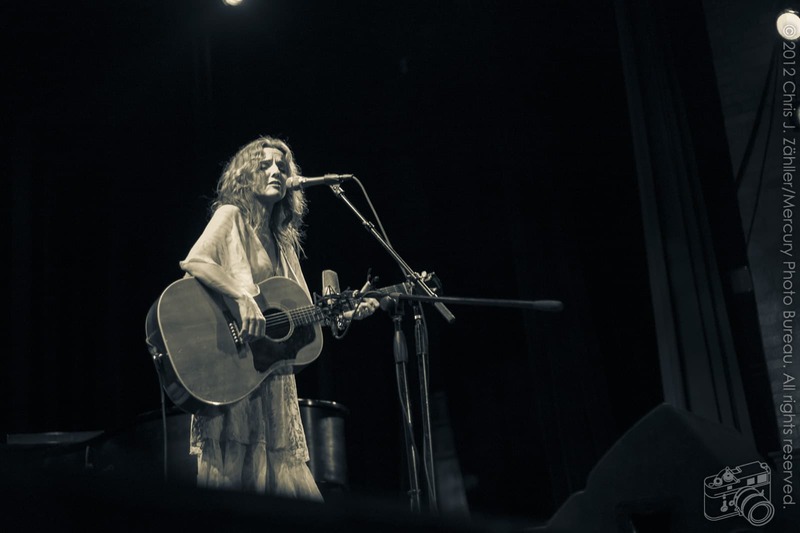 Singer-songwriter Patty Griffin returned to Norman’s Sooner Theatre for a nearly sold-out per­for­mance in late October . 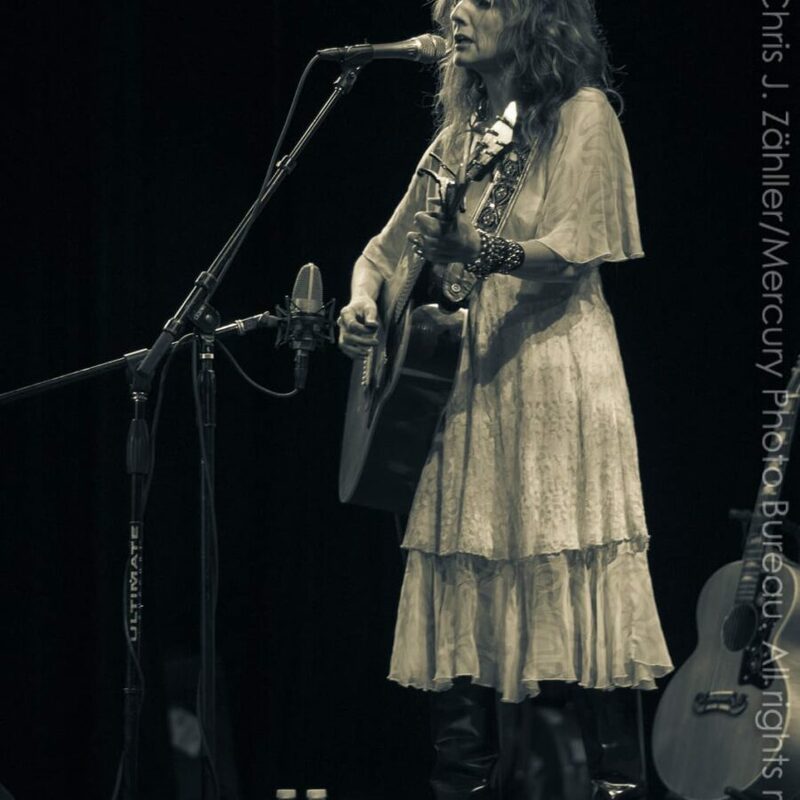 Mercury Photo Bureau was on hand to cover the con­cert.﻿ Thanks to Nicole Hauer and Stephanie Flick of Nashville’s Vector Management for clear­ing the way for me to pho­to­graph. 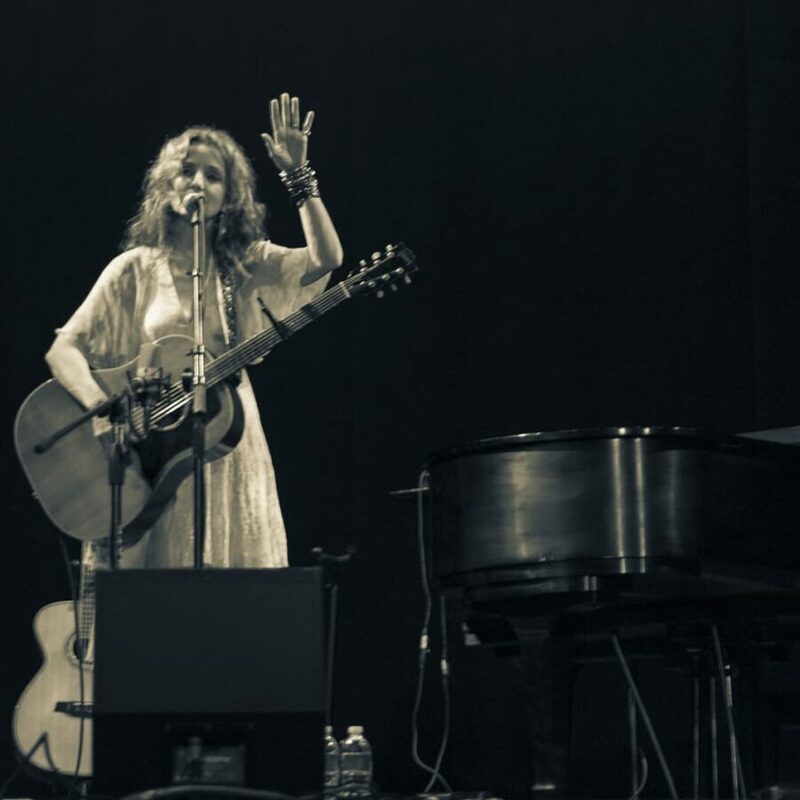 Since catch­ing the pub­lic ear with her sopho­more release, Flaming Red , the fiery-haired chanteuse has released a string of well-received record­ings, while simul­ta­ne­ously main­tain­ing a career as an in-demand backup vocal­ist for such artists as Robert Plant, Joshua Radin, Dierks Bentley and Todd Snider. 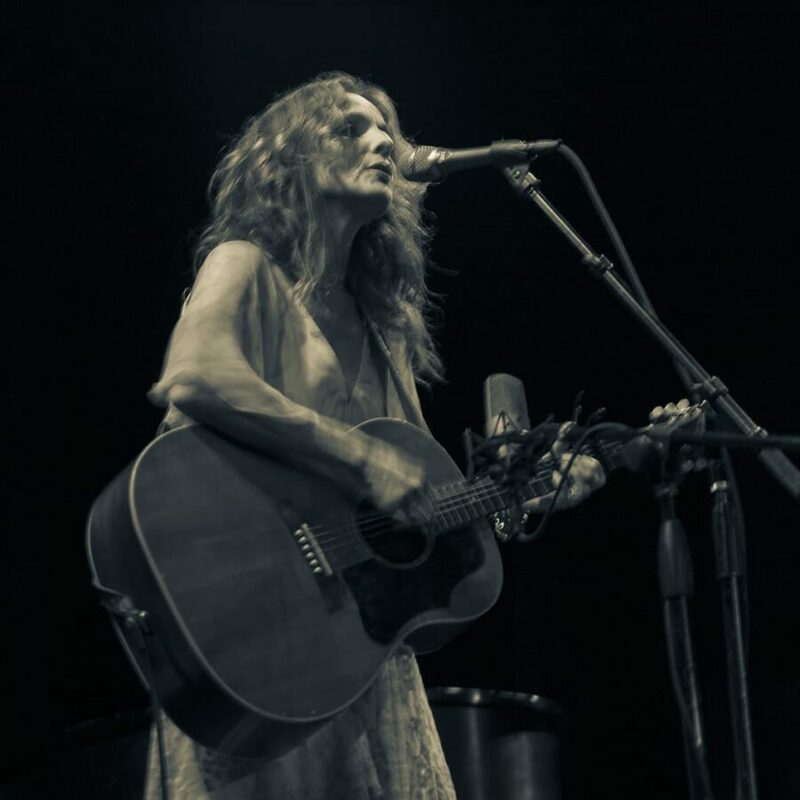 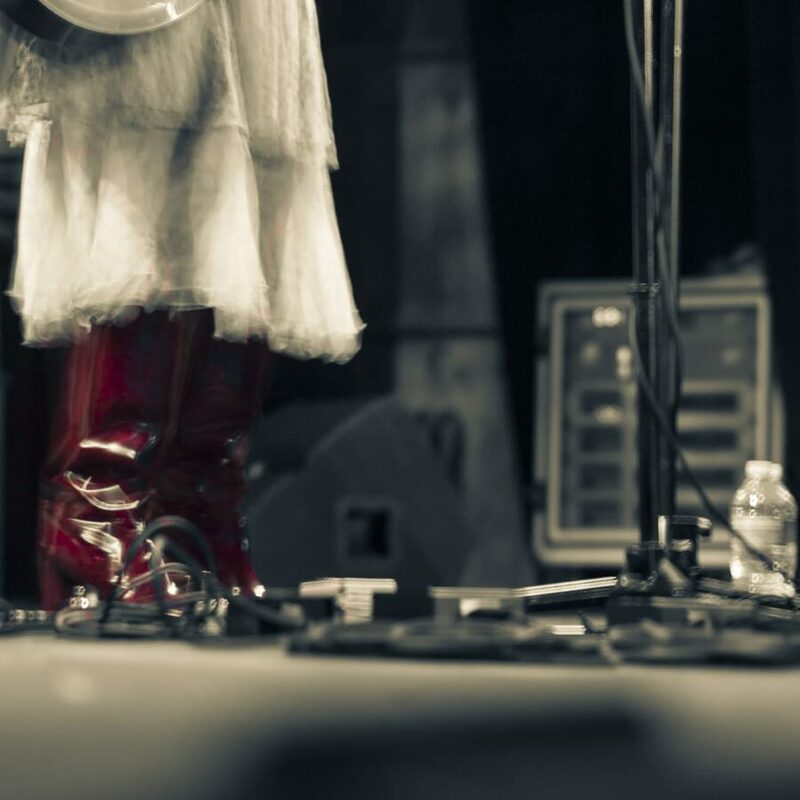 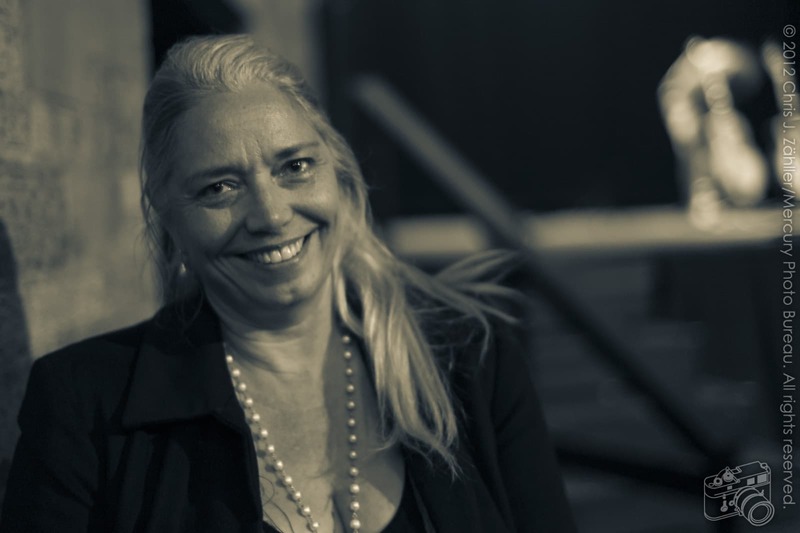 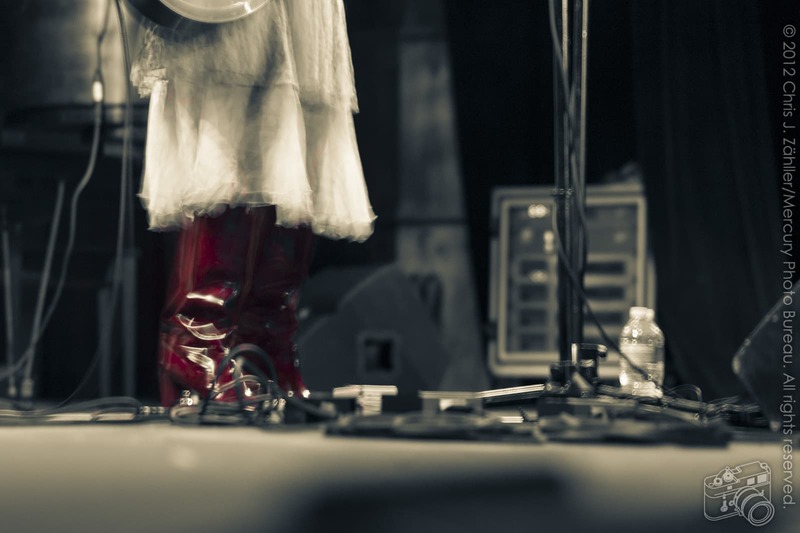 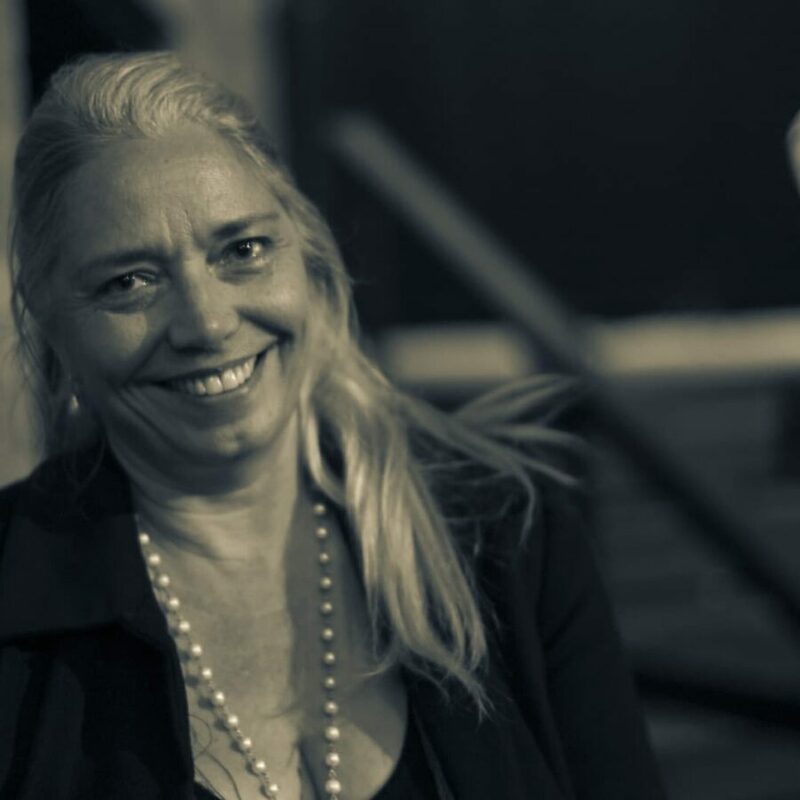 Patty has col­lab­o­rated with many notable musi­cians, includ­ing Emmylou Harris, Gillian Welch, David Rawlings, and Regina and Ann McCrary, and her songs have been fea­tured on numer­ous pop­u­lar TV shows and motion pic­tures. 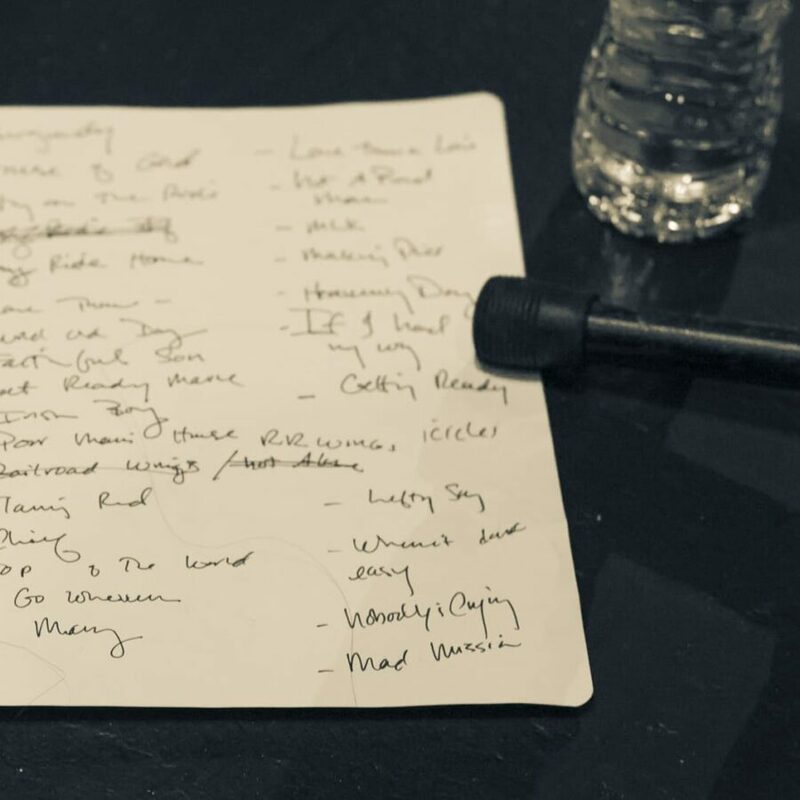 Griffin’s set shifted from down-tempo, quiet bal­lads ( Railroad Wings ) to gut-wrenching, dis­torted blues (the spine-tingling, short-hairs-raising Flaming Red ). 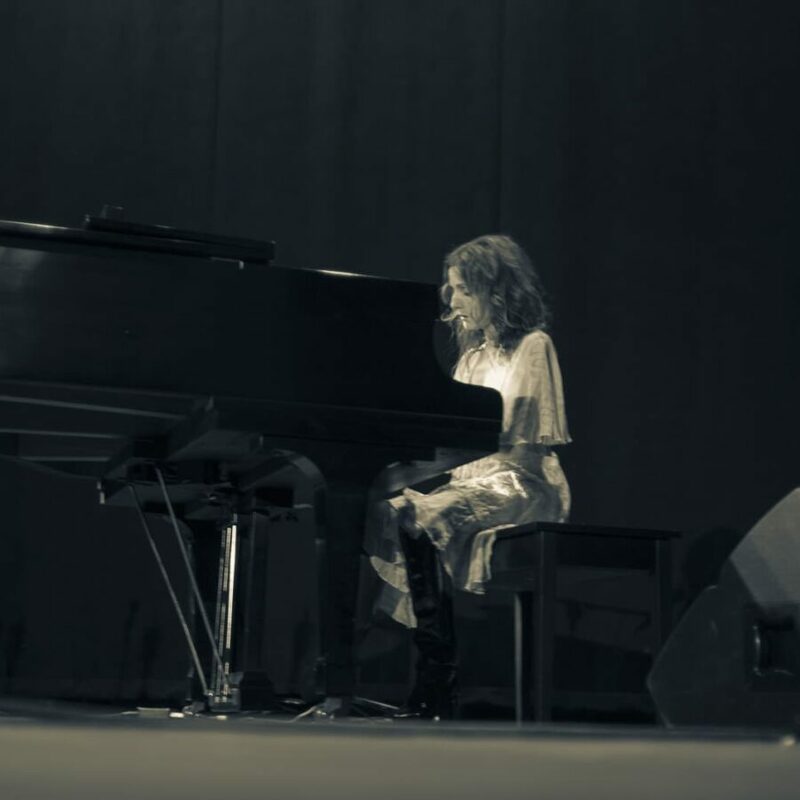 During the numer­ous gui­tar re-tunings (a result of her hard play­ing on the rau­cous rock­ers), she kept the audi­ence enter­tained with sto­ries about grow­ing up and of life as a tour­ing musi­cian, and with back­sto­ries to the songs. 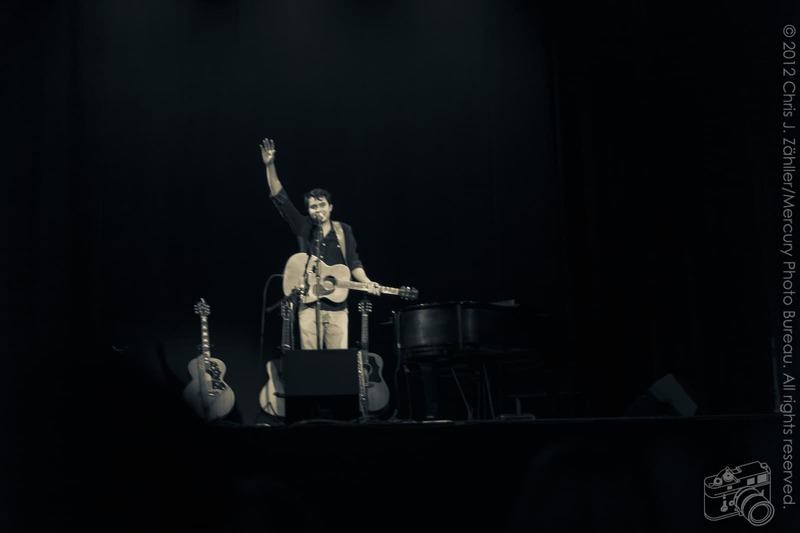 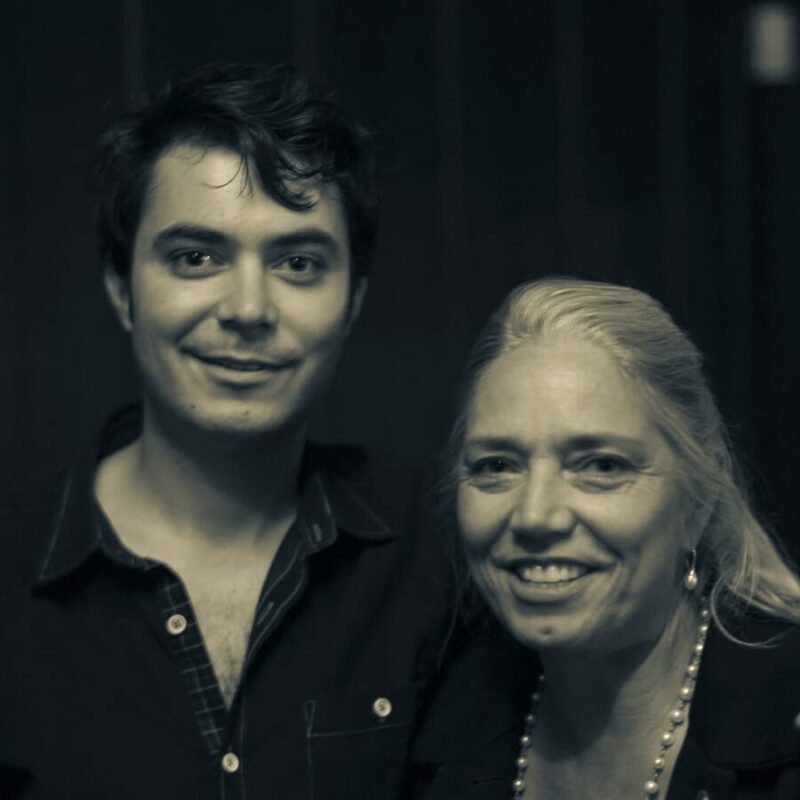 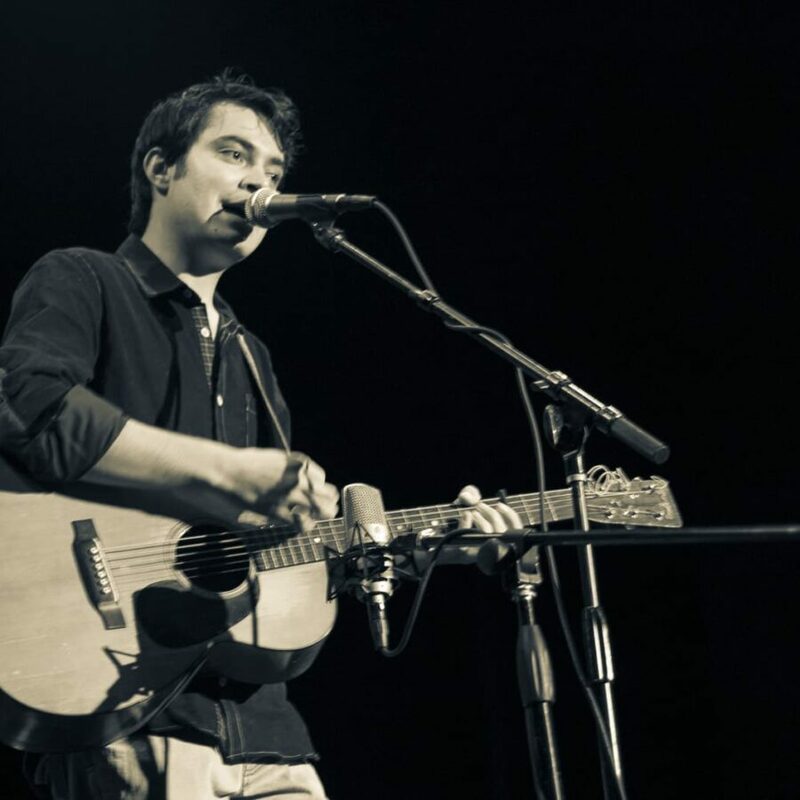 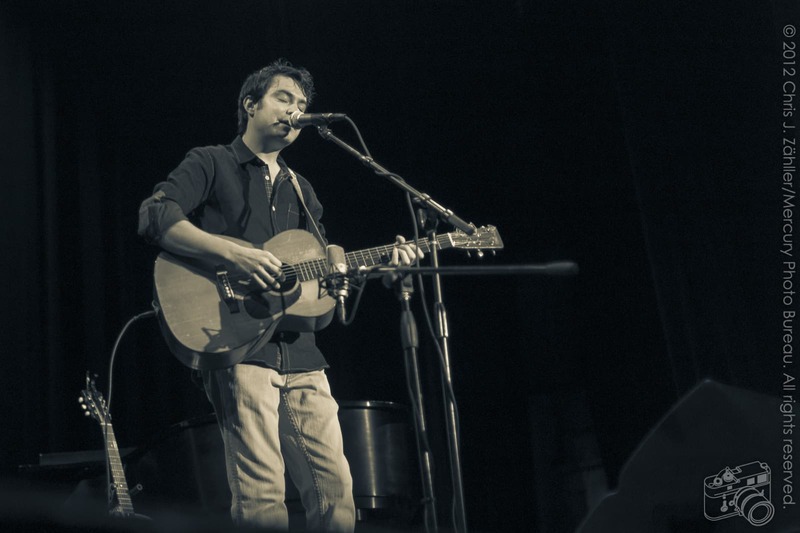 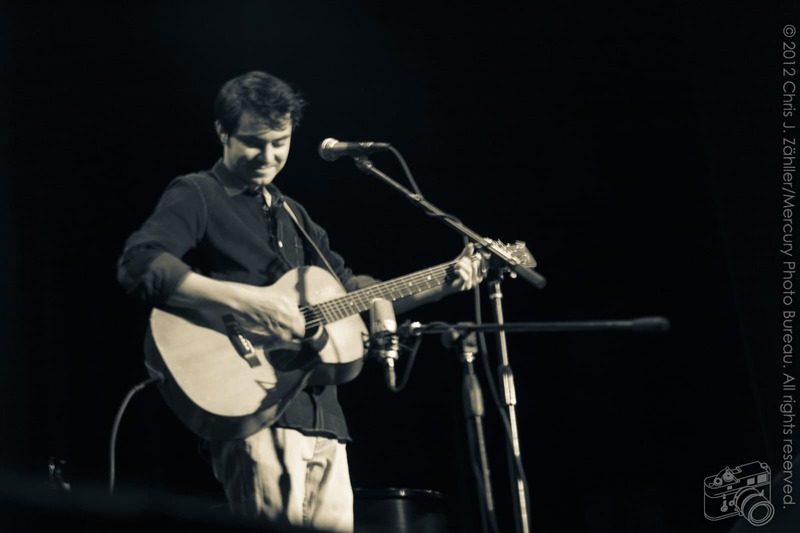 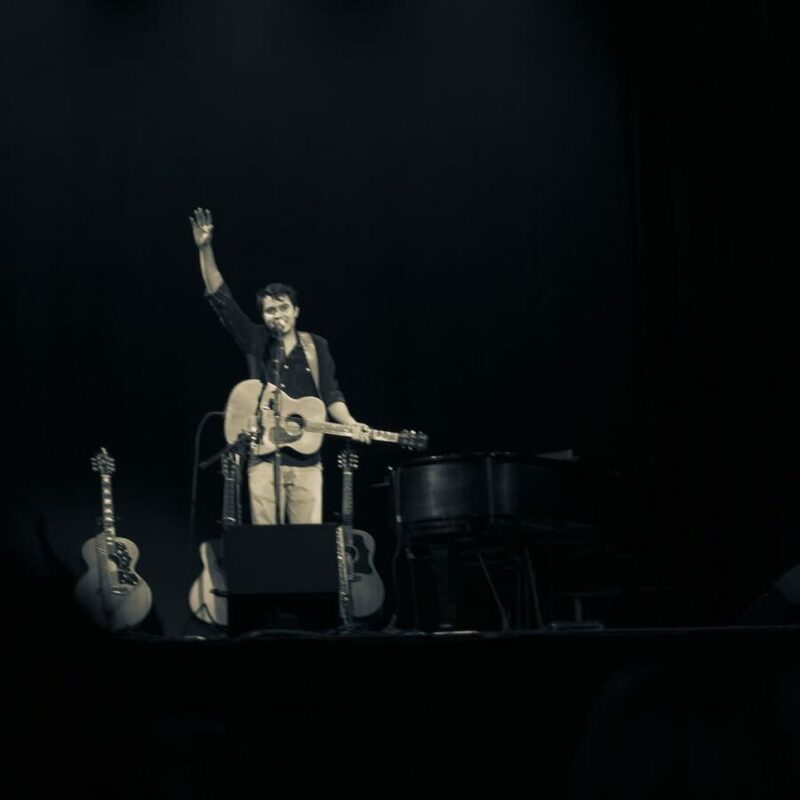 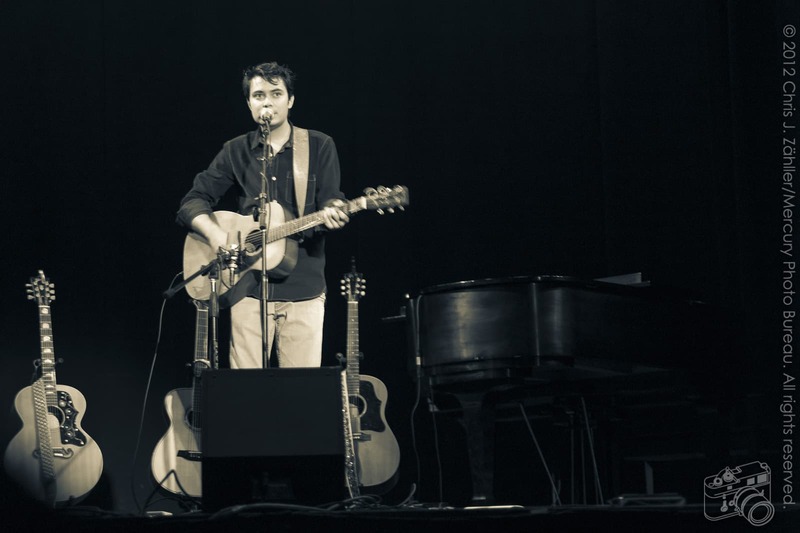 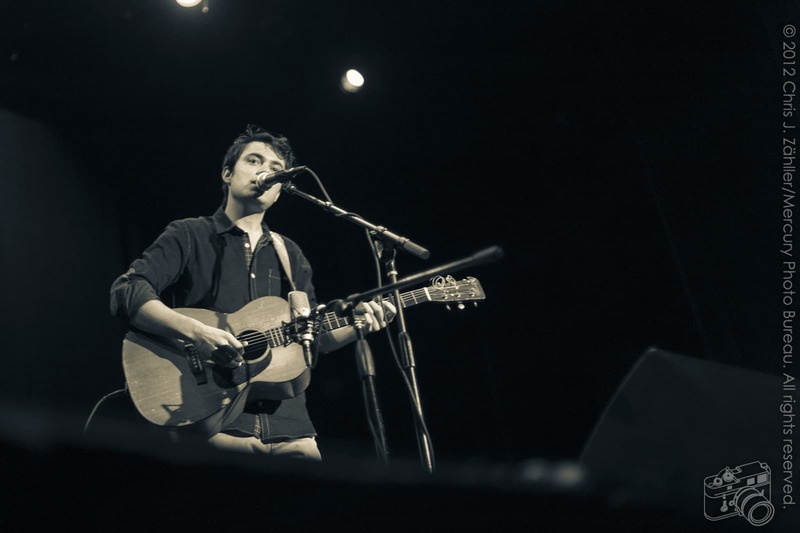 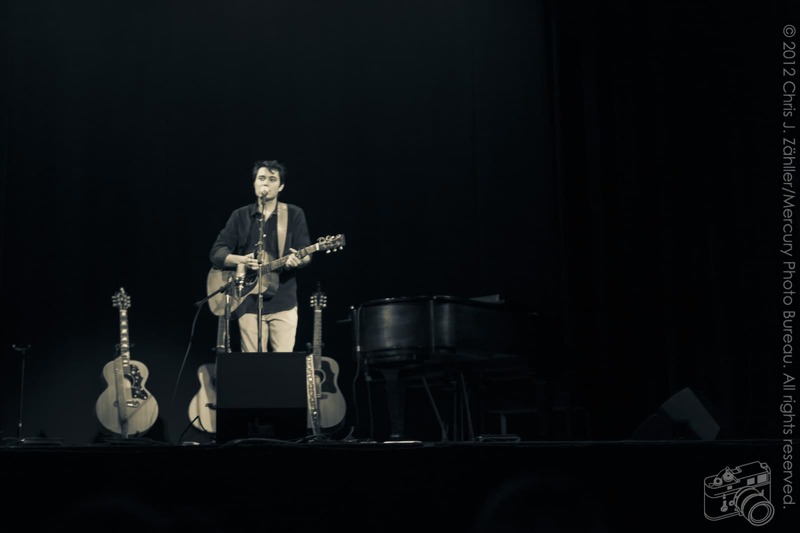 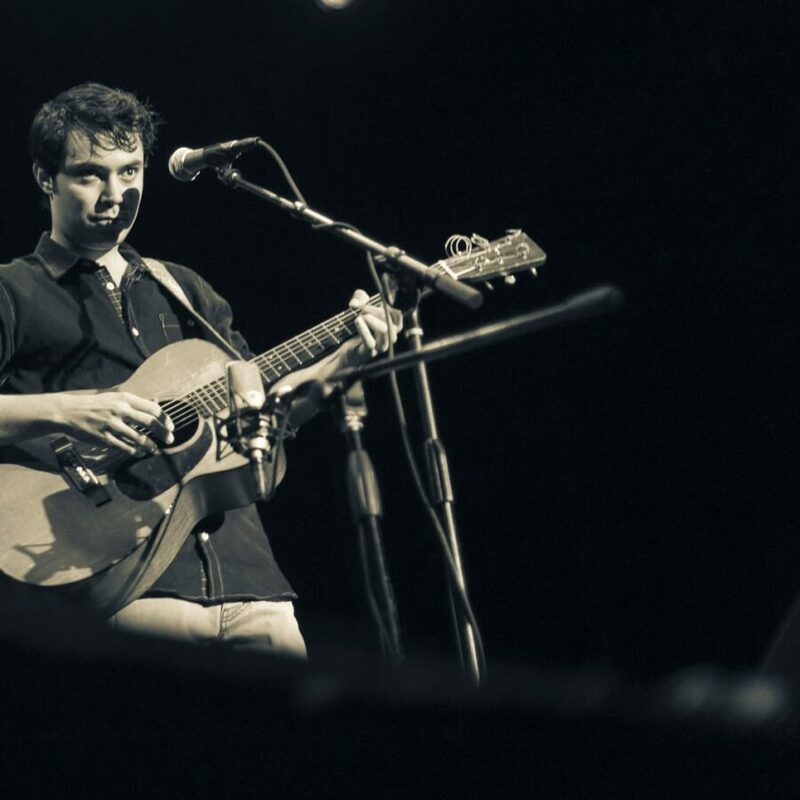 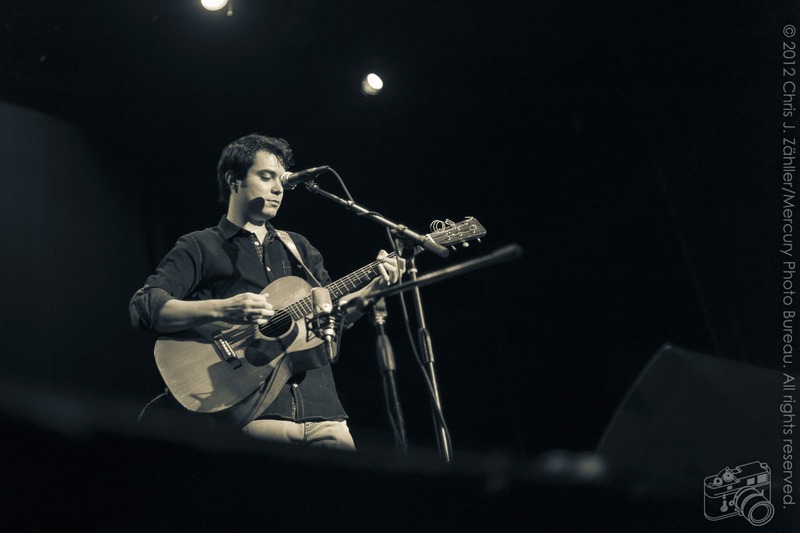 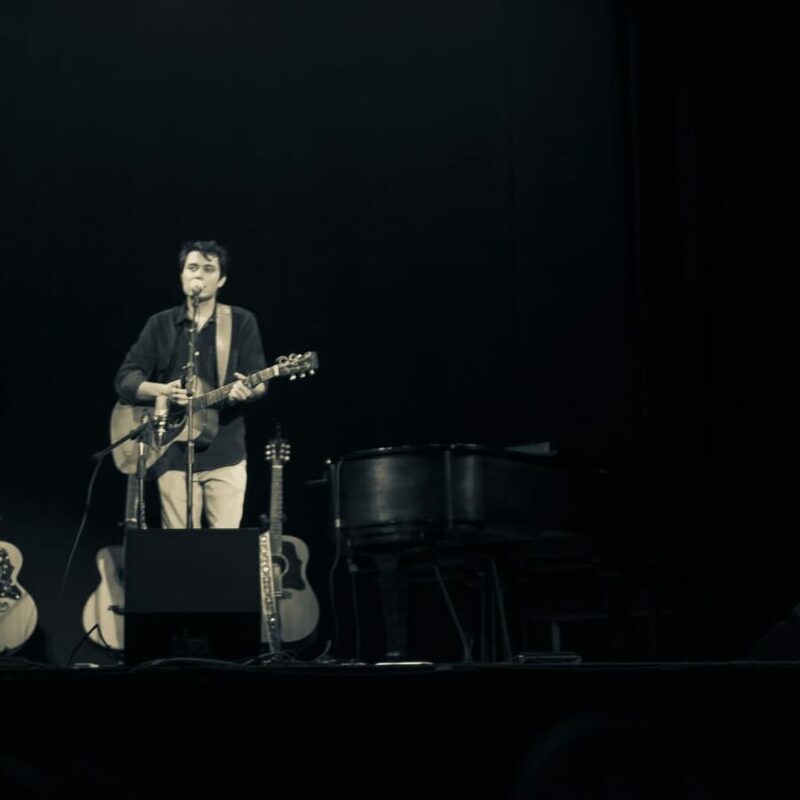 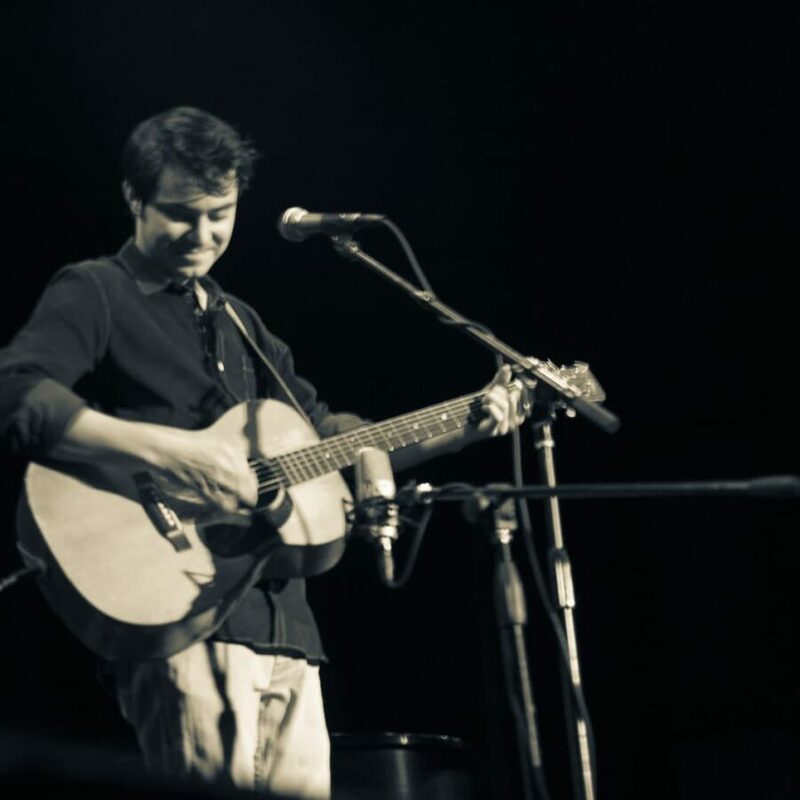 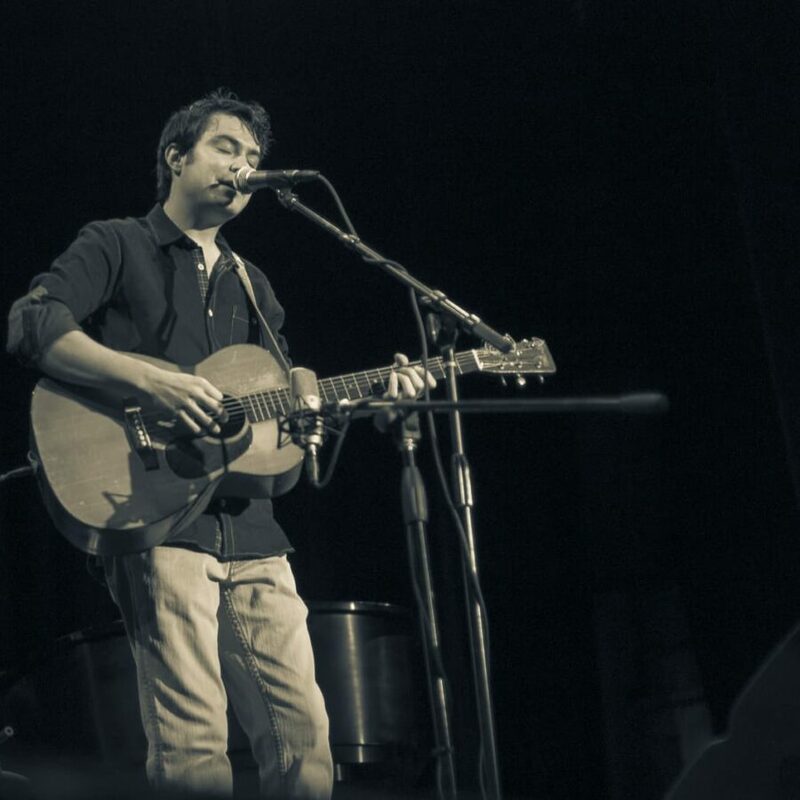 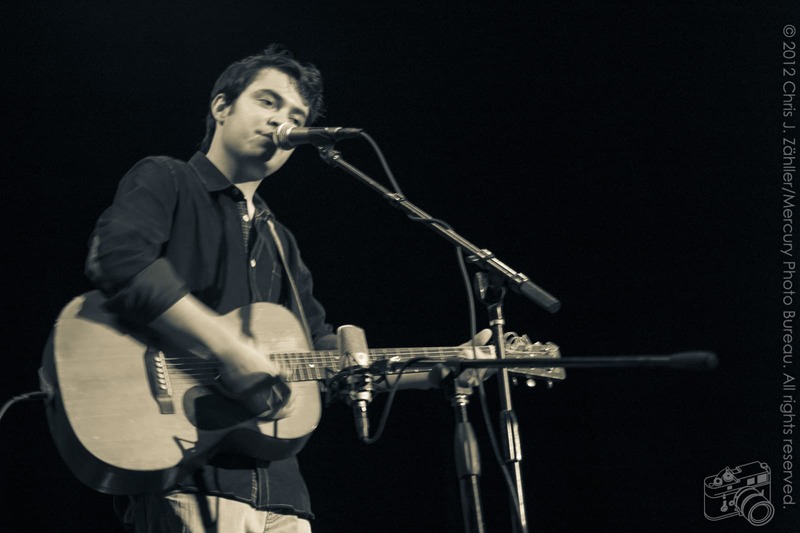 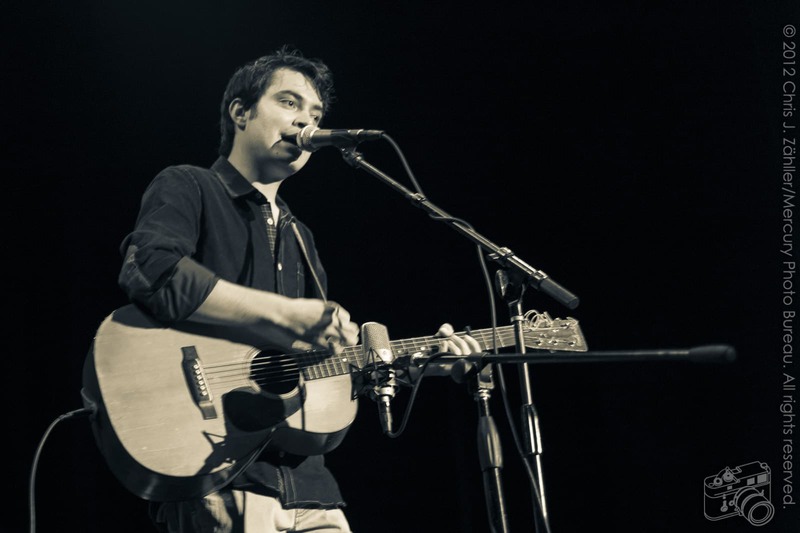 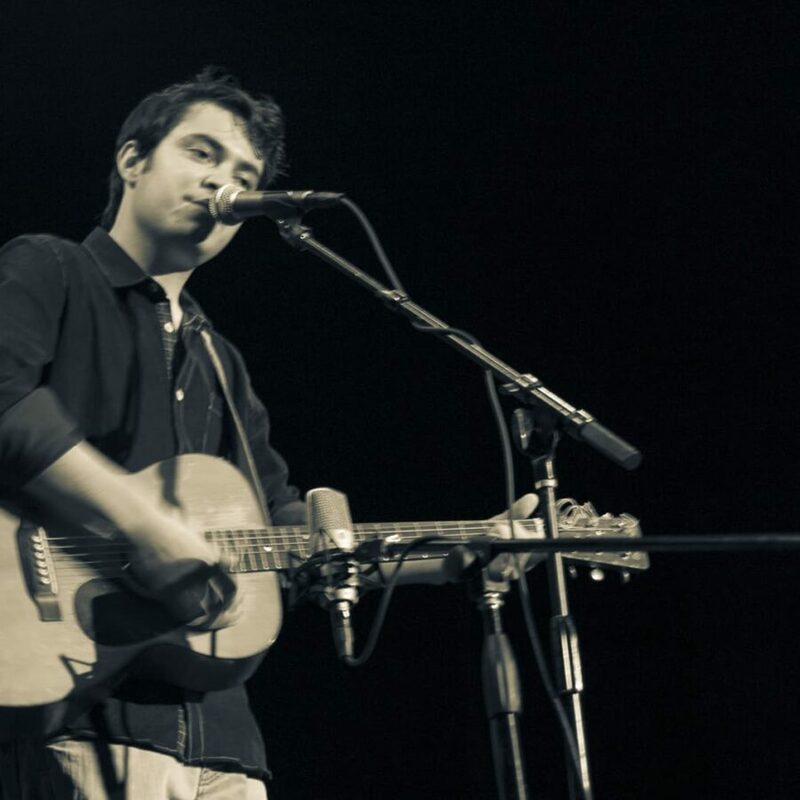 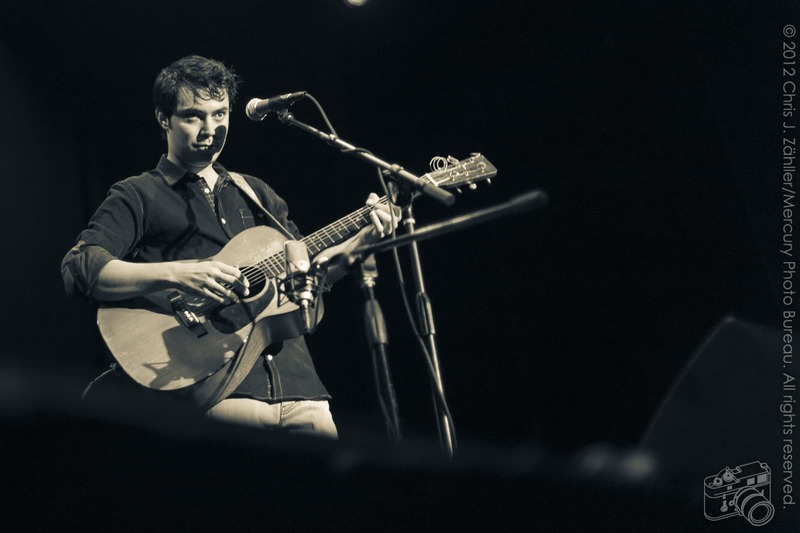 Hailing from Taos, NM, singer Max Gomez opened for Patty with a slew of self-penned tunes. 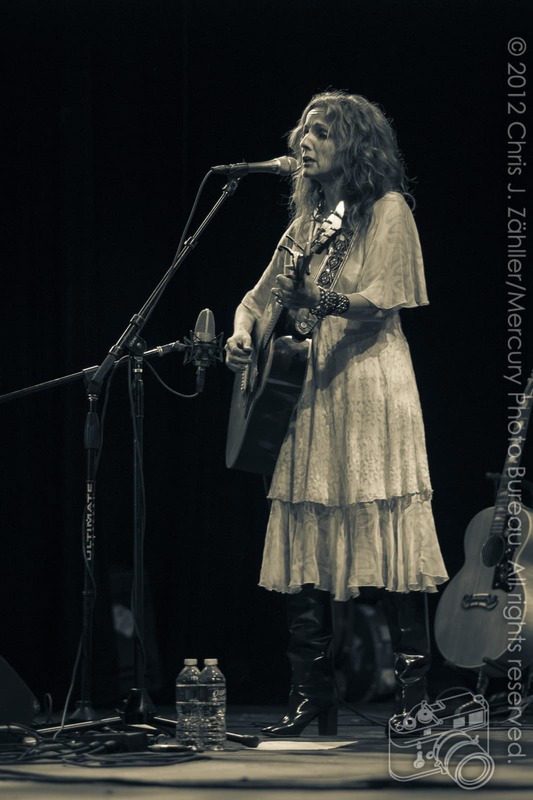 Often fea­tur­ing opaque lyrics, the songs draw from a deep well of tra­di­tional folk and blues — Gomez acknowl­edges the influ­ence of the past (Lead Belly, “Big” Bill Broonzy, Robert Johnson). 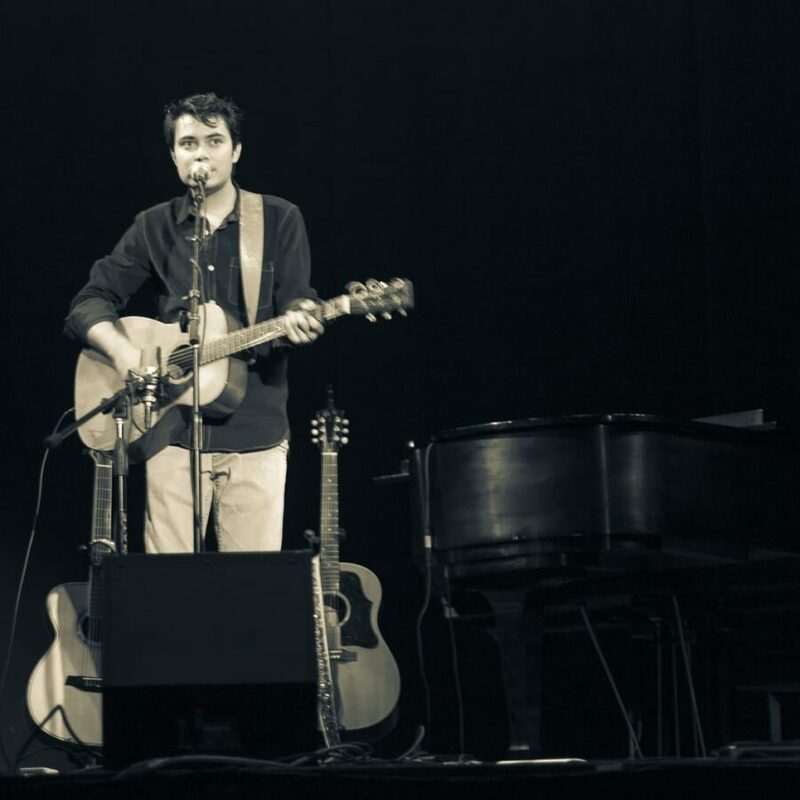 But he also owes much to con­tem­po­rary mas­ters of the acoustic folk + singer-songwriter veins (Townes Van Zandt, Kris Kristofferson, Guy Clark, John Hiatt). 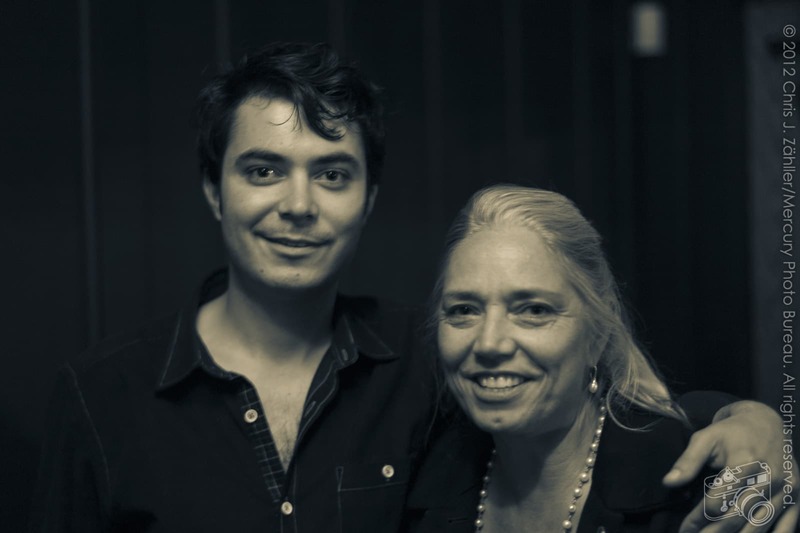 Max’s mother, Tonia, was present for the show; see the gallery for her por­trait. 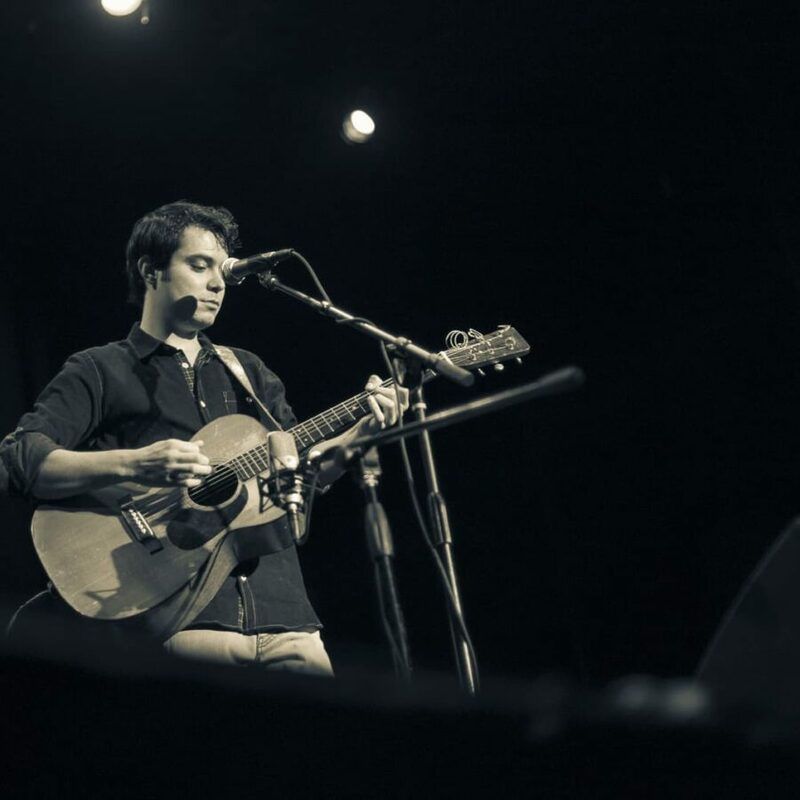 His debut CD, Rule the World , is avail­able for pre-order on Amazon. 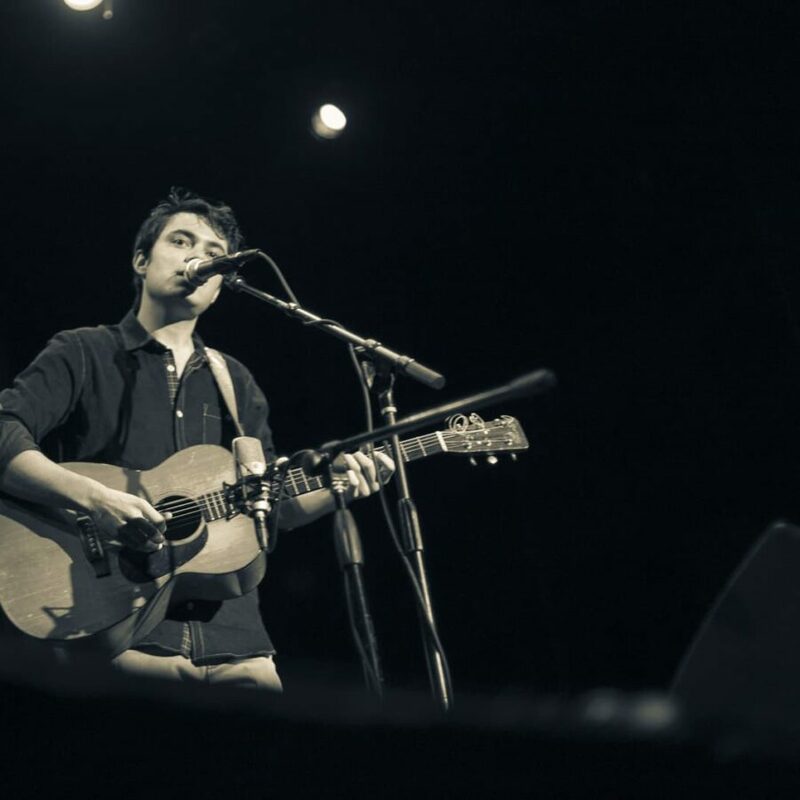 His debut sin­gle, Run from You, is avail­able on iTunes now.